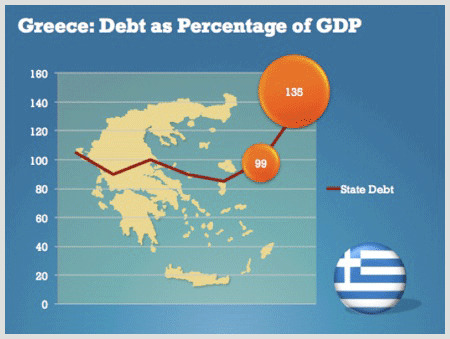 Are you doing a PowerPoint presentation on the state of the Greek economy and its huge debt burden? 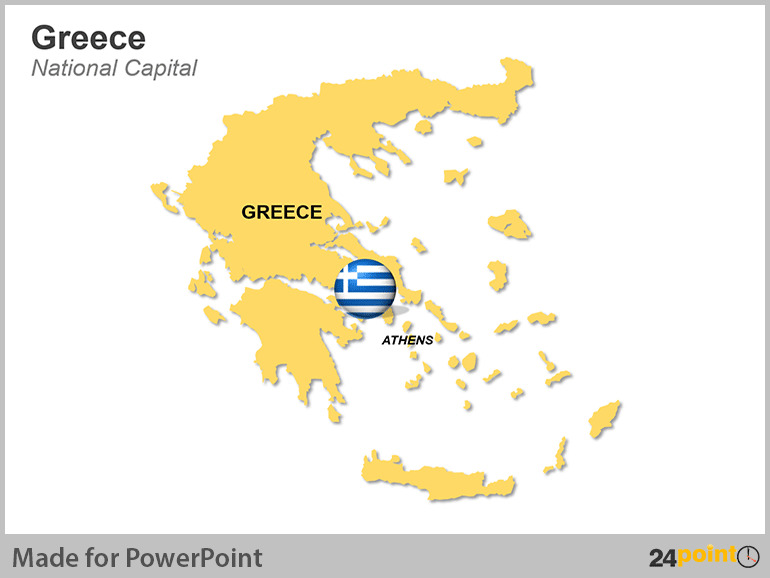 Then buy and download the editable Greece maps and customizable Cutting Costs deck from 24point0 today! Greece has been facing a tough couple of years economically. 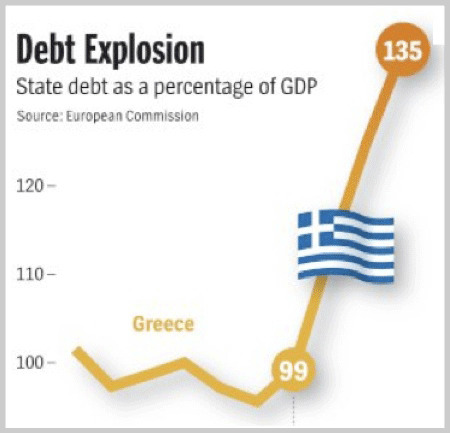 Due to the Greek government’s spending beyond its income and high tax evasion, the country fell into huge debts and saw its credit rating cut drastically. In 2010, Greece was forced to accept a bail-out and introduce tough new austerity measures in order to ensure that the country’s economy remained afloat. 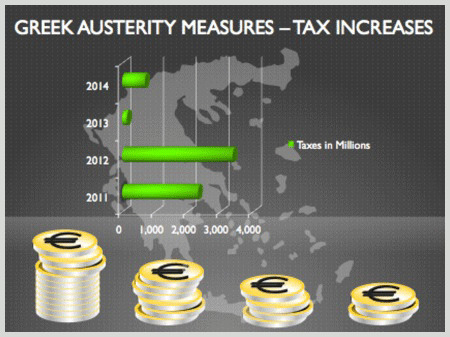 Greece borrowed the money from the IMF and the EU as it could not afford to borrow money commercially. The Greek economy needs all the help it can get from the Eurozone countries so that it doesn’t default on its debts, pulling other economies like Ireland and Portugal along with it. In these tough times for the more unbalanced and economically weak countries in Europe, austerity measures have been the flavor of the month – but these government cuts have not been popular. There have been violent protests in Greece against the austerity measures that Greece has to enact in order to get a second bailout this year from the EU and IMF. The Greek parliament has agreed to a series of severe austerity measures to control its debt. 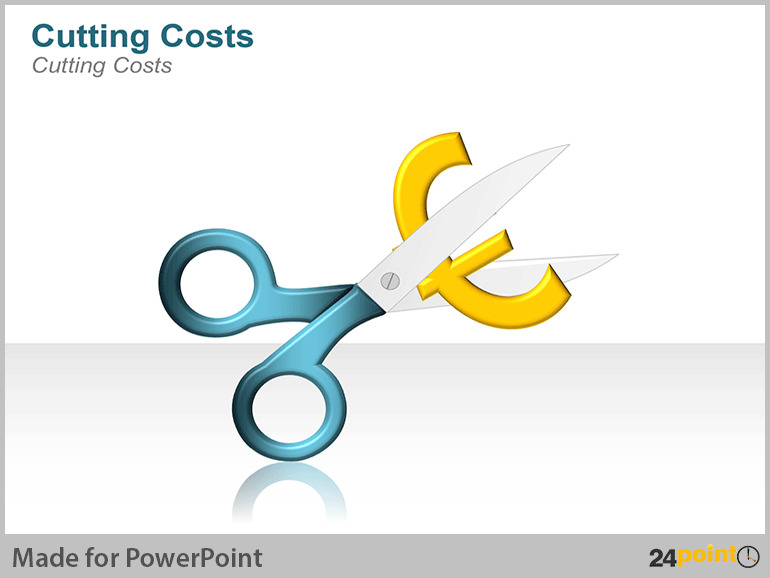 You can use 24point0’s editable Greece Maps and Cutting Costs deck in combination to create visually rich and informative slides to showcase the planned spending cuts. Got Business with Germany? Get Editable Germany Maps for PPT Presentations from 24point0!